We’re always looking for new ways to make the tradition of decorating Easter eggs new, exciting and not to mention, cute! This year is no different, so we’ve rounded up 6 ways to elevate your egg decorating this Easter with a crafty twist! 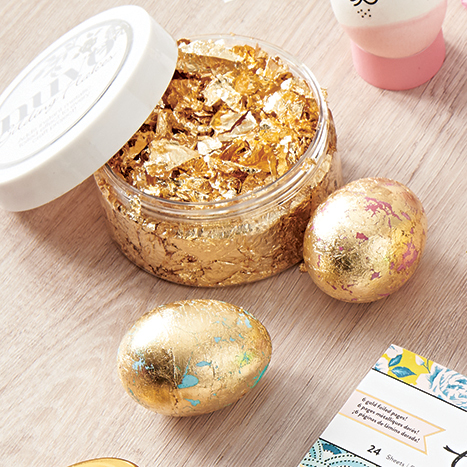 Use gilding flakes to foil your eggs for a luxe effect. 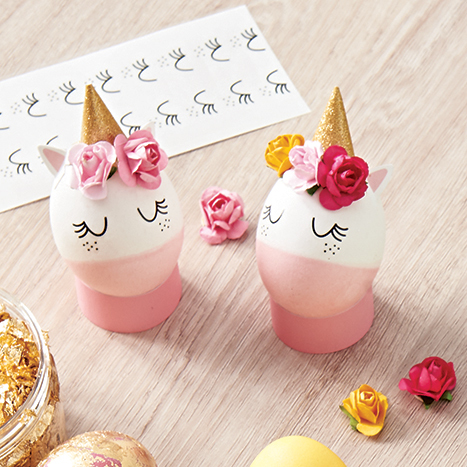 Simplify the process with the Unicorn Egg Decorating Kit. Simply follow the steps provided with the kit! Add a personal touch using the Watercolor Resist Pen. 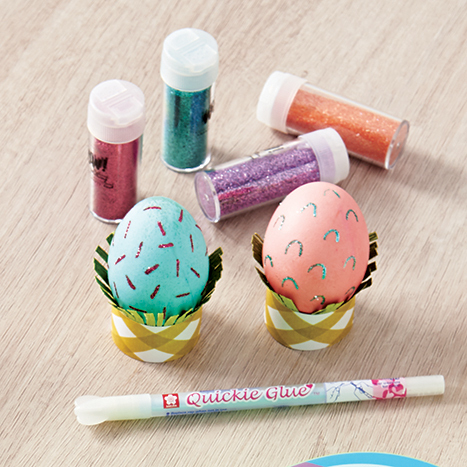 Make it sparkle with colorful glitter and the Quickie Glue Pen. 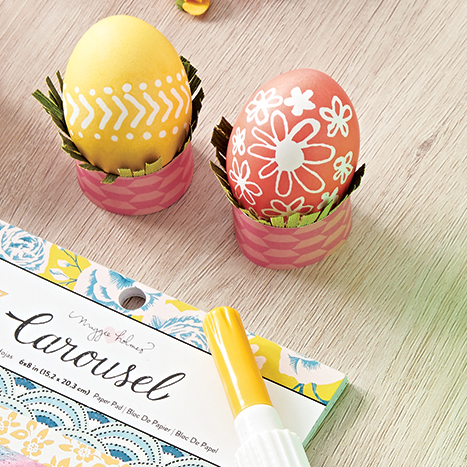 Cover your eggs in wash tape and add floral die cuts for flair. 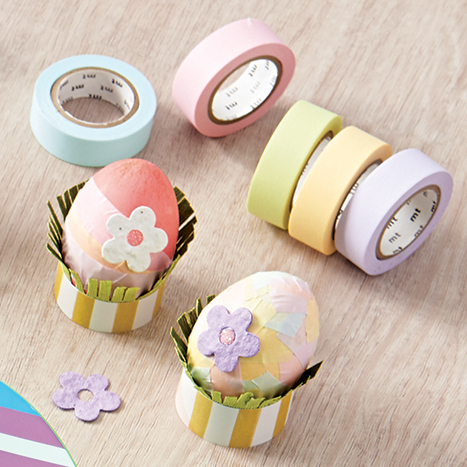 Adhere strips of washi tape to the eggs. You can add long strips or short patches and have fun layering them however you like! Add flowers by sticking a Zot on the egg and then center one of the flowers over the Zot. If the flower has a hole in the middle you can cover the exposed center of the Zot with glitter. 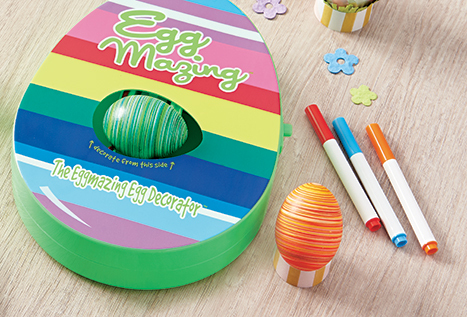 Give your eggs a quick makeover with the Eggmazing Decorator. Simply follow the directions provided with the spinner! Add some interest and cut fringe strips of green crepe paper and tuck them into the paper rings for a little grassy trim! Share your masterpieces with us at #PaperSource and follow us @PaperSource for more Easter inspiration! Oh my daughter is going to love this! Love the egg decorating ideas Rebecca! Moms will appreciate the easy Egg Spinner! It is NO MESS Easter decorating. You only use colorful markers and the spinner. They look great too! Really the gilding flakes are not messy either and look gorgeous. This a such a fun family time.